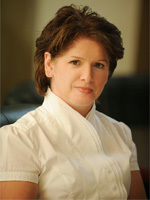 Carol has been with Orendorff & Associates for more than 25 years and is the firm’s Senior Administrator – Litigation. Trained at Cambrian College in the Law Clerk program during the early 1980’s, Carol continues to hone her knowledge and experience in the litigation field. Carol has worked through and witnessed first-hand the evolution of personal injury law in the Sudbury region and in the province of Ontario. She draws on this expertise to contribute to the collaborative team-oriented client service approach that is provided at Orendorff & Associates, Sudbury’s Personal Injury Lawyers. As the law continues to change and evolve, injured victims and their families can rest assured that Carol’s consistent commitment to client service and satisfaction is of the highest calibre. Carol grew up east of Sudbury and spends much of her summer escaping to the West Arm area of Lake Nipissing. There, she enjoys the water, tranquility and the great outdoors.